Pre-registration for the 2019 event is now open – click here. Day of event registration is available on-site ($40 for 5K; $50 for 10.5 mile and 10K events) beginning at 7 a.m. 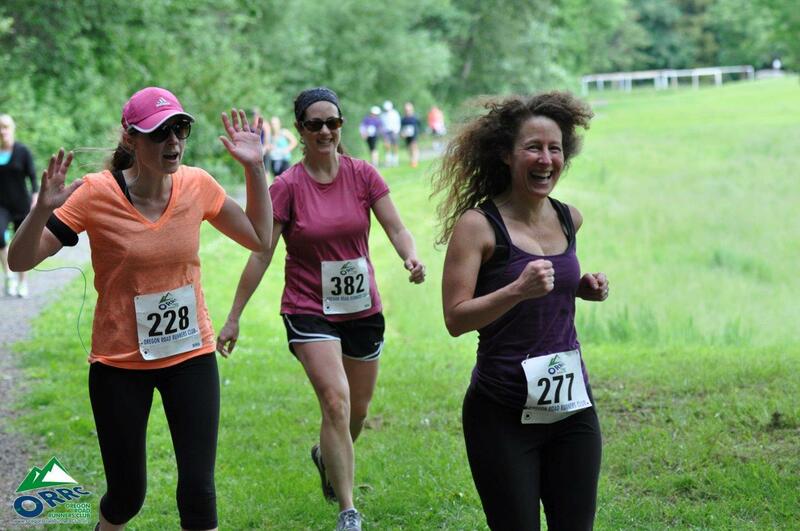 The ORRC Hagg Lake Road Run and Trail Run are on two separate days. You can choose to run the 10.5 mile road run on Saturday May 4th and/or run the 14 mile trail run on Sunday. If you run both days, you earn your very own pie! April 28th is the last day to register for the double and be guaranteed a pie. You may register for the double after that date, but we can’t guarantee a pie for you at the finish. Fee through March 1, 2019 is $90 for the double (i.e. run the road on Saturday and run the trail on Sunday). On March 2, 2019 the fee goes up to $100 for the double. Day of race fee for the double is $110. 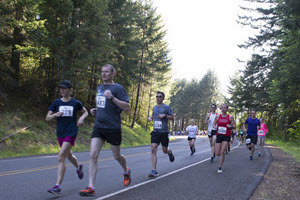 If you want to do the double, register for the trail run, and contact us at hagglake@oregonroadrunnersclub.org, and we will send you a code to get a discount for the road run registration at www.runsignup.com. If you’re interested in volunteering for this event, please email us at volunteer@oregonroadrunnersclub.org. For more information on ORRC volunteer opportunities, click here. The 5K, 10K and 10.5 mile run start at 9am. The 10.5 mile walk (must walk entire route) starts at 8am. Hagg Lake, approximately 6 miles south of Forest Grove on Highway 47. Follow signs to Henry Hagg Lake. Turn left over the dam after the toll booth to get to Boat Ramp C. Allow 45 minutes from downtown Portland to the lake. The 5K and 10K are out and back, starting at Boat Ramp C. The 10.5 mile run is once around the lake, starting at Boat Ramp C. Participants should stay in the bike lane, except for the 5K and 10K, when they cross the road at the turn-around and at the finish. 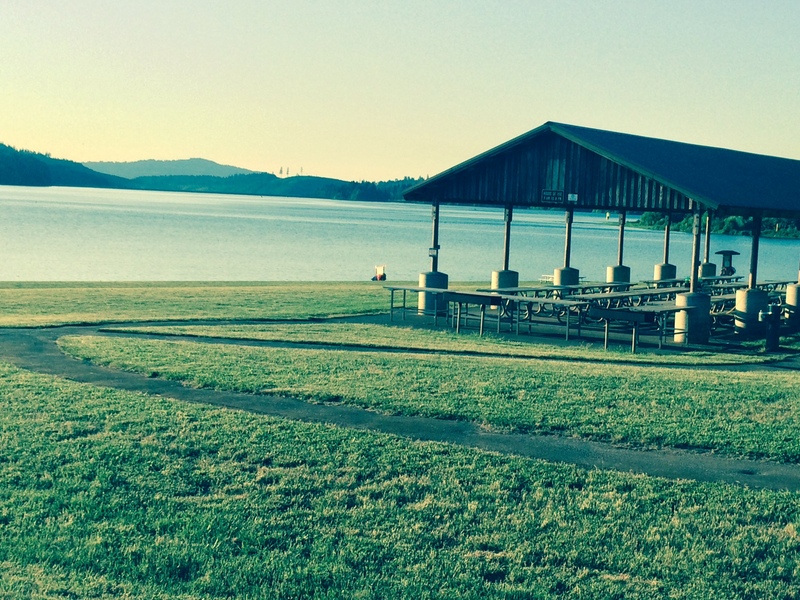 For the Hagg Lake Runs course map – click here. There will be four aid stations on the course; the 5K and 10K go past the first two and the 10.5 mile passes all four at Miles 1.2, 2.8, 6.2 and 8.6. All finishers will receive a Hagg Lake buff, included in the registration fee. This year you can get an optional short-sleeve tech-material T-shirt for $20 during the registration process. Packet Pick-up will be on the day of race, only, at Ramp C starting at 7 a.m.
Plaques to overall winners (open and masters) and ribbons five deep in all ORRC age categories for the 5K, 10K, and 10.5 mile run and walk. All participants and volunteers are eligible for random prize drawings, including the traditional pies. Awards will not be mailed. This is the third event of the annual ORRC 10K Series. For more information – click here. Park admission fee is included in the entry fee. We will hand out passes at the entrance to Ramp C, so you don’t need to stop at the booth. The pass must be displayed on your dashboard. Carpooling is encouraged. Strollers, baby joggers or similar devices are permitted but should start in the back of the pack. We discourage anyone younger than 14 to run the 10.5 mile distance.